I know we usually save all the beer talk for Hangover Thursday, but I can’t wait for this one. 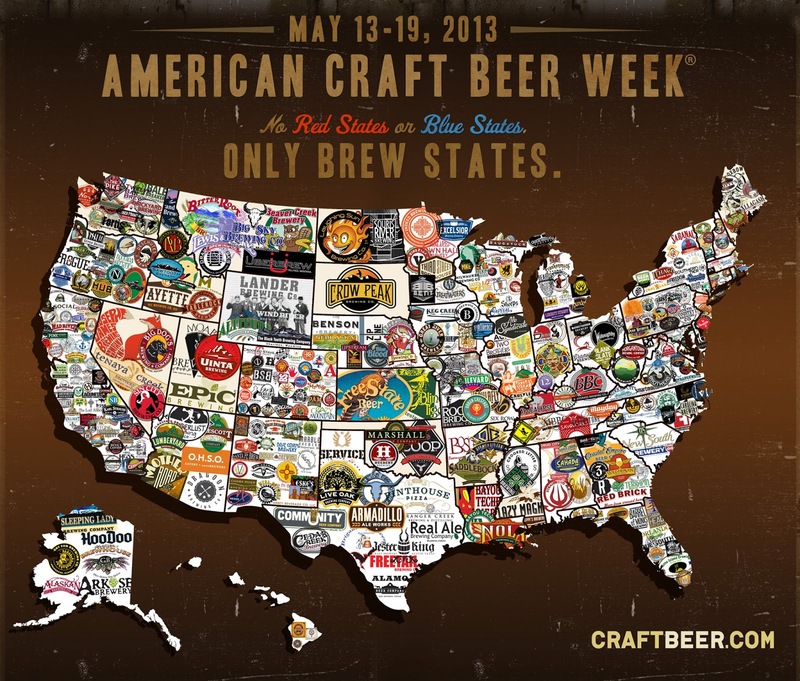 Yesterday kicked off American Craft Beer Week. That means from the 13-19 there are going to be a lot of very cool specials and giveaways at bars all over the country. We’re pretty happy here at That F’ing Monkey if we can help you get cool beer stuff or introduce you to a new craft beer, so we’re pretty excited about this week. The website CraftBeer.com will have a ton of information on the event itself. Clicking around there you can read about how American Craft beer Week started in 2006. Before that there was an American Beer month. 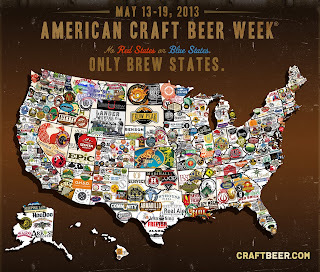 You can also find things on their site like the awesome craft beer map I posted above. To find out what your beer events are going on in your you’ll have to go to news & events, then down to American Craft Beer Week, and then to ACBW Events. From there you can pick your home state and check out what is happening around you. 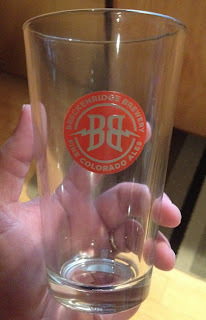 I made a quick stop into my local yesterday and came home with a free pint glass from Breckenridge Brewery. Not every event is going to be handing out free pint glasses but it is still worth checking out. Let us know if discover any new craft beers this week and what you thought about them.